This exciting add-on pack for Rush Hour features a Sports Car and 40 original traffic nightmares with solutions, ranging in difficulty from Intermediate to the Grandmaster level. Original Rush Hour required to play. 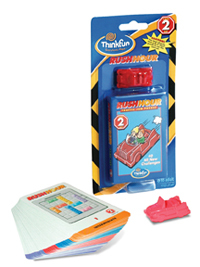 Other products in the "Rush Hour" series.